For years, welding and engineering students were taught that aluminum and steel could not be bonded together. What if, though, it was actually possible? One major breakthrough in materials science indicates that welding aluminum to steel can now be accomplished through a process called cold metal transfer. Steel and aluminum welds are used prominently in the auto industry. 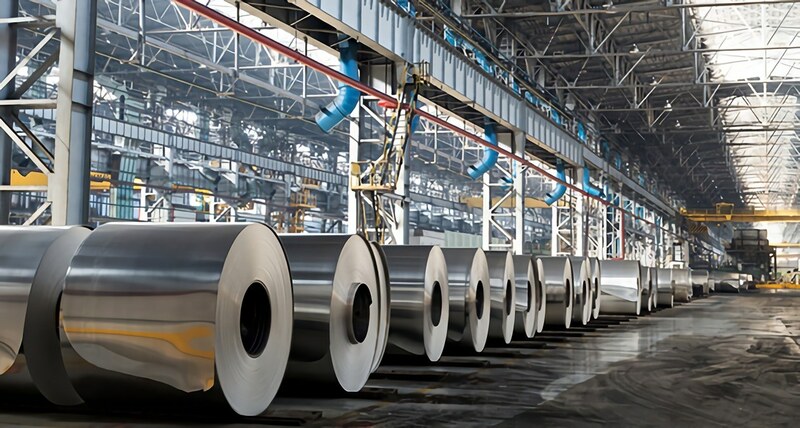 Steel and aluminum vendors have long vied against each other for business, with the former boasting of steel’s strength and the latter bragging about aluminum’s lightness. Fusing the two metals would be ideal but was considered impossible by many in the fields of welding and engineering. Creating an alloy of iron (steel’s primary component), aluminum, and carbon is possible but the product is too brittle to be useful, especially for the manufacture of vehicles. Consequently, automakers like Ford have shifted to using more aluminum in recent years in order make lighter, more fuel-efficient vehicles. A new breakthrough in Austria, however, has the potential to change conventional thinking. Voestalpine AG, an international steel-based technology and capital goods group located in Linz, Austria, is responsible for the breakthrough of fusing steel and aluminum. The company developed a process called cold metal transfer. First, a special solder and torches are used to melt aluminum but not steel. Then, when one metal has heated up, supercooled argon gas is used to decrease the temperature point (this is to avoid the oxidation that can ruin metal joints). Next, an application of zinc keeps the aluminum and steel alloy in a binding state, as both metals will bind to zinc but not to one another. And so aluminum and steel can be bonded together. While Voestalpine has been the pioneer welding technology company to first break onto the market with their formula, they’re not reaping the rewards at present: it costs about two to three times as much to bind together aluminum and steel than it does to solder either of the metals on its own. In order for the hybrid to be profitable, the application needs to be streamlined to cut down costs. Fusing aluminum and steel would give any product made from the hybrid material the benefits of both metals: lightness and strength. Producing durable, lightweight products is a goal of many industries—from auto to tech manufacturing. As the process of fusing steel and aluminum evolves, so too could its applications. Luxury car manufacturers have already expressed interest in the sophisticated welding technique, suggesting the possibility of widespread adoption by the industry once the process is streamlined and more cost effective. As of now, the technology is still being developed for use in various industries. The introduction of aluminum-steel hybrid materials into the manufacturing industry could eventually mean more specialized job opportunities for those with advanced welding training. In any case, all aspiring welders must learn the fundamentals of the trade first through entry-level welding classes. For more information about how to begin a career in welding or the skilled trades, contact Tulsa Welding School today.